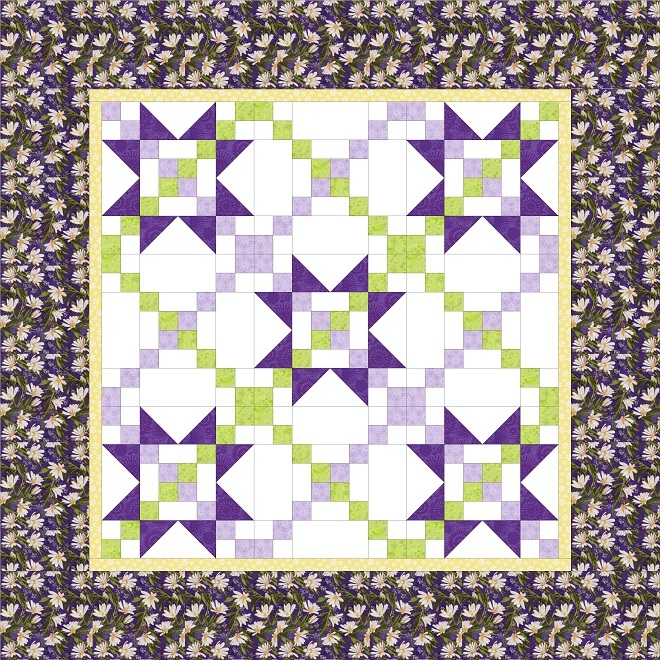 Use fun, fast and easy piecing techniques to make this lovely quilt in a flash! No cutting small squares or triangles, this quilt is made with strip cut pieces and easy flying geese blocks. Great for the beginner sewer, it's easy to make and looks fabulous! I've even included ideas for quilting so your finished project will look great. Finished quilt is 48 inches square. The pattern is in PDF form, and is an instant download that will be available as soon as you complete your payment. It features fully illustrated instructions for making your quilt. I am glad to help answer any questions you have and try to respond within a day for any questions you might have while making your quilt. Thank you for supporting me as an independent designer!